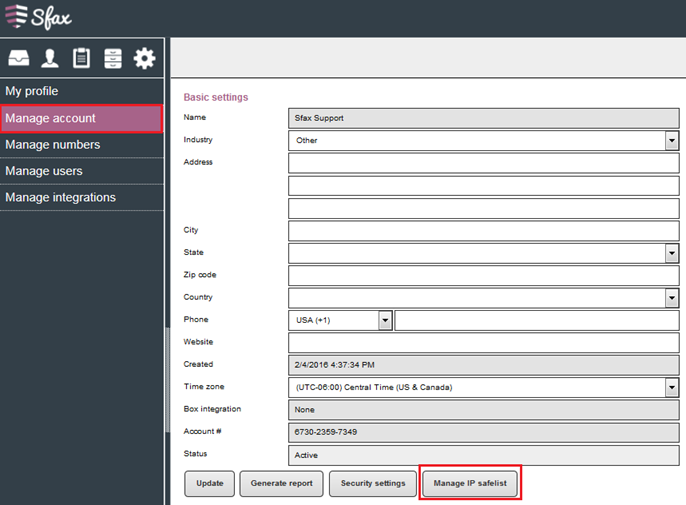 On March 29, 2015, we released an update to our Admin portal to allow more security control for our Administrator users. 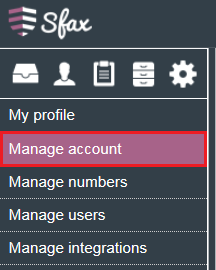 Moving forward, Account Administrators (and above) can now implement IP address restrictions for their users. 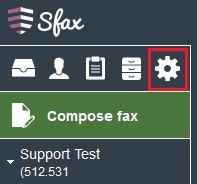 This setting will affect all aspects of Sfax: WebPortal, Print Driver, Download Service and API access. 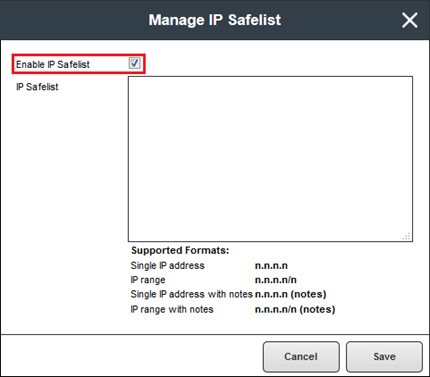 The IP Safelist field is a text field where you will enter all IP addresses that need to be added to the allowed list. Each entry should be on a new line, rather than separated on the same line. 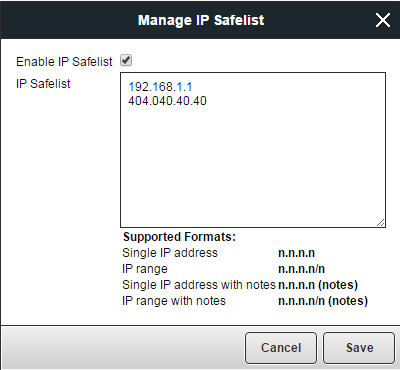 IP Addresses entered should be allowed Public IP addresses, as this is a safelist for these allowed IP addresses to access our systems which are outside of your network. For example: 192.168.1.1 would be an invalid address, as this is an INTERNAL IP address. 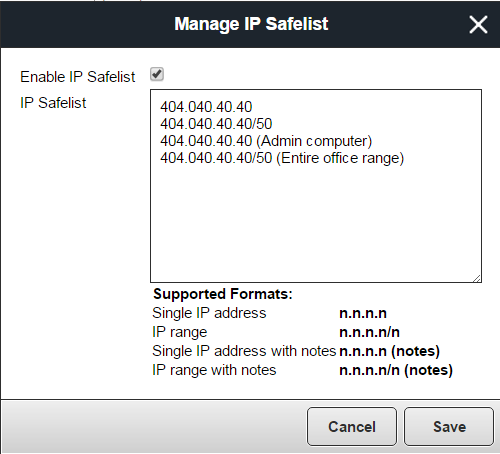 404.040.40.40 would theoretically be valid, as it is not an internal IP address scheme (actual IP address ranges do not exceed 223.255.255.255). 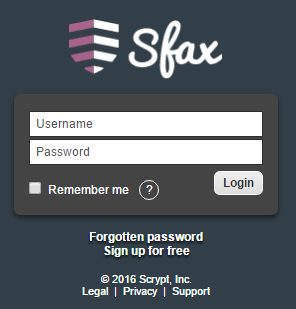 If you need to remove the Safelist functionality, uncheck the box. 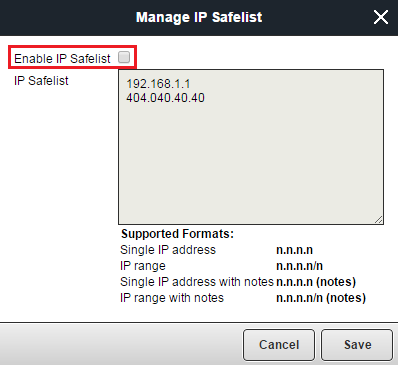 This will not remove existing IP addresses/ranges, which will allow you to re-instate them once ready, but will open access to all IP addresses until enabled again.